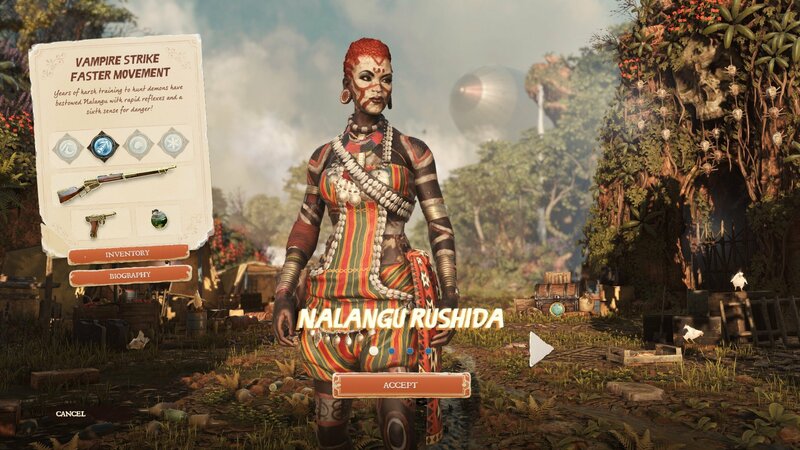 Strange Brigade tries so very hard to be unique. There’s something inherently enjoyable about four-player co-op games where you and three friends have to survive against endless waves of enemies using various weapons and abilities. 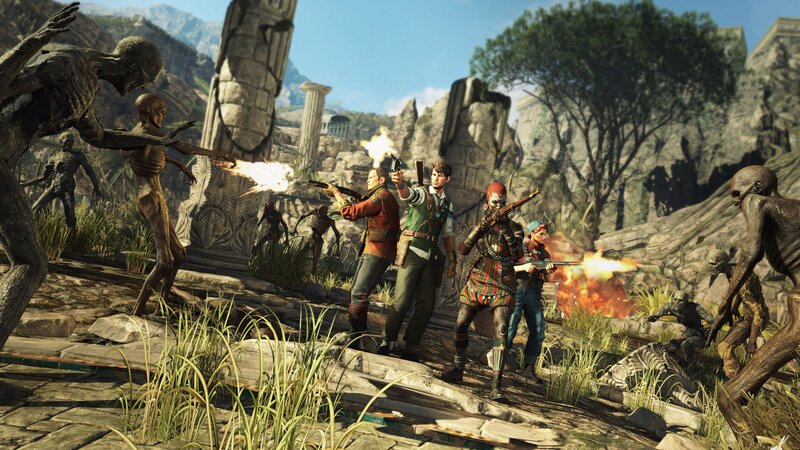 Strange Brigade makes a bold attempt at being one of these games, but unfortunately comes off as an average and ultimately forgettable experience. From the creative minds of Rebellion comes Strange Brigade, a four-player co-op adventure that is heavily inspired by 1930s pulp fiction style of movies. Players go on daring escapades across grand environments, uncovering ancient treasure and otherworldly threats, all while a chipper narrator commentates the shenanigans. While the main focus is the four-player experience, all available modes can be played entirely solo. The campaign is the first place players will likely start Strange Brigade. 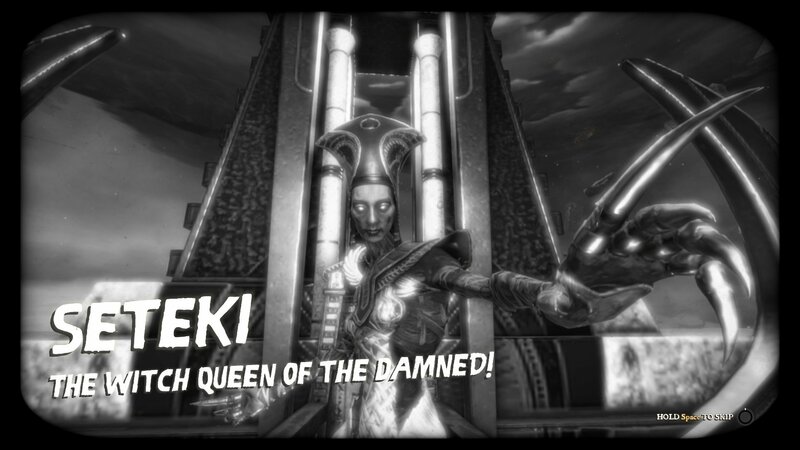 The events of the game kick off with an ancient Egyptian Witch Queen, Seteki, being released from her 4,000 year captivity by some unwitting archaeologists. 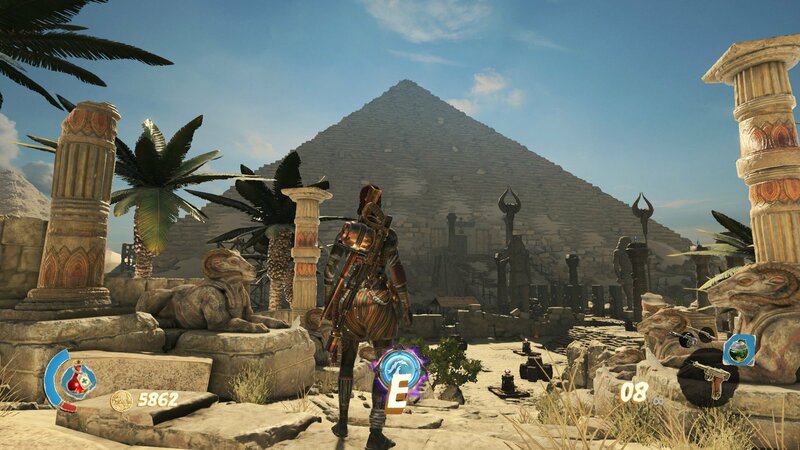 This is where the Strange Brigade – the game’s namesake – comes in to play. Their goal is to investigate said occurrence, quell any problems, and collect treasure along the way. 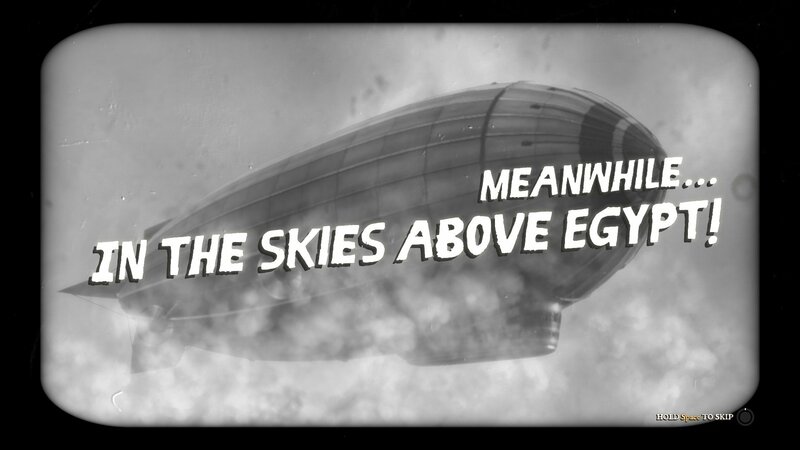 The story is simply a backdrop to the gameplay and is otherwise unimportant. However, at the onset of each mission, the ragtag group of heroes are briefed on what’s happening, but by the second mission it all blends into the same amorphous blob of, “we’ve found signs of the witch here, go and check it out”. One thing that grated on my nerves was the incessant nattering of the narrator. The purpose of the narrator is to elicit a feel of the 1930s theatrical drama style, but it just doesn’t land. Every enemy that spawns, every time a health potion is found, every trap, puzzle, and secret that is uncovered causes the narrator to exclaim some quip about the situation – even pausing the game results in the narrator asking for a cup of tea or questioning if you need a break. At first it’s charming, but after 30 minutes I went diving into the settings to see if I could turn it off, only to find I could turn it to “low”. It fits the theme, but the decision to hammer players over the head with it is just baffling. Players get to choose from four different characters, each with their own backstory and unique super abilities. Though at the beginning each character has a single power, three more can be unlocked per character, mixing up the combat. These supers are charged by collecting the souls of defeated enemies in an amulet and then unleashing the power at the press of a button. 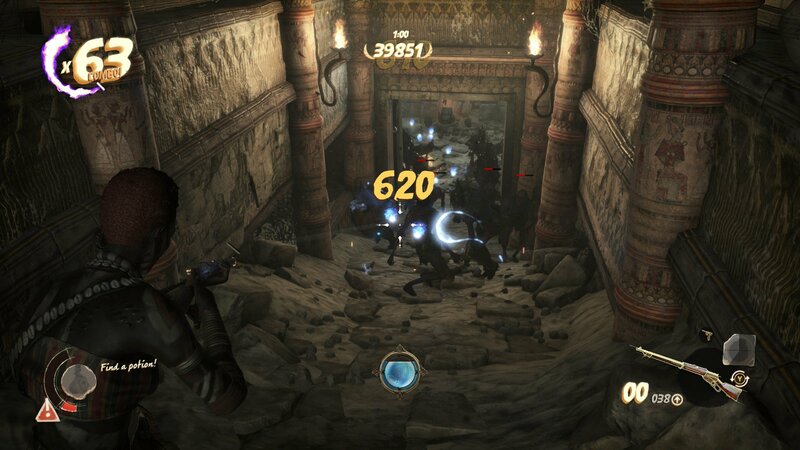 Corralling a group of zombies together and unleashing a super to wipe them out in a single blow is supposed to feel amazing – like finally popping a super in a hero shooter – but it just falls flat. Where other games succeed with their super abilities is the build-up when activating them and then the process of using them. There’s almost no “power fantasy” when it comes to using a super in Strange Brigade, and players will more likely gravitate toward a super that has greater clear potential than one with utility. The game offers several weapons to use at the beginning, with nine more to be unlocked as players earn gold by completing missions. Again, the weaponry just feels lackluster and unwieldy. I started off using a submachine gun for my primary weapon and quickly switched to a single-shot, bolt-action rifle after discovering how woefully inaccurate the SMG was and how much ammunition I was wasting. To mitigate these negative attributes players can attach single-use upgrade runes to the primary weapons. One rune might make headshots deal extra damage, another will cause shots to set enemies on fire, and another increases accuracy and reload speed. Because the runes are single-use, it sets a precedence of not wanting to experiment with builds, as inserting a new rune deletes the old one. Thankfully, players will have several to use after a few hours of gameplay. Despite this upgrade system, the guns don’t become more enjoyable to use. After purchasing the most expensive primary weapon (a three-burst assault rifle), and decking it out with four upgrade runes, it still didn’t feel as useful as the Westminster 1895. These aren’t the only weapons players can access, as several “prototype” weapons are locked in chests throughout a mission. 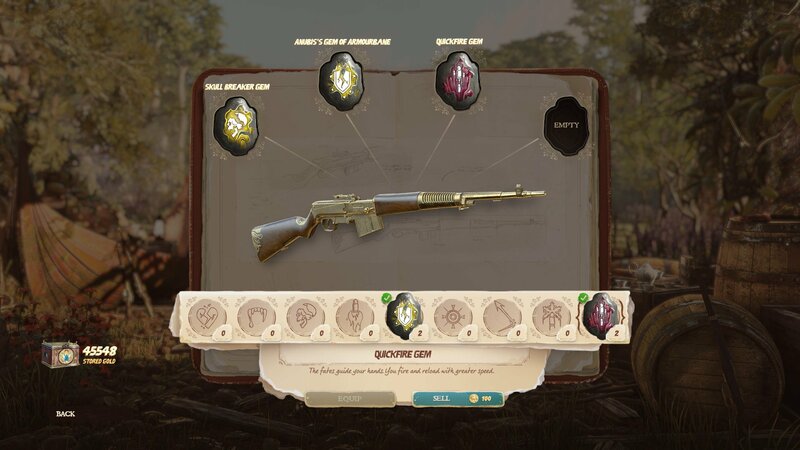 Players can choose to use their own gold reserves to open a chest and use one of these weapons for as long as it has ammo. On offer are the likes of a blunderbuss that shoots electrical pellets, a crossbow with a stick of dynamite attached to each bolt, and an SMG which freezes enemies. To balance out the power, these weapons cost a pretty penny to unlock, directly cannibalizing the player’s end-game rewards for the purpose of taking down enemies faster. 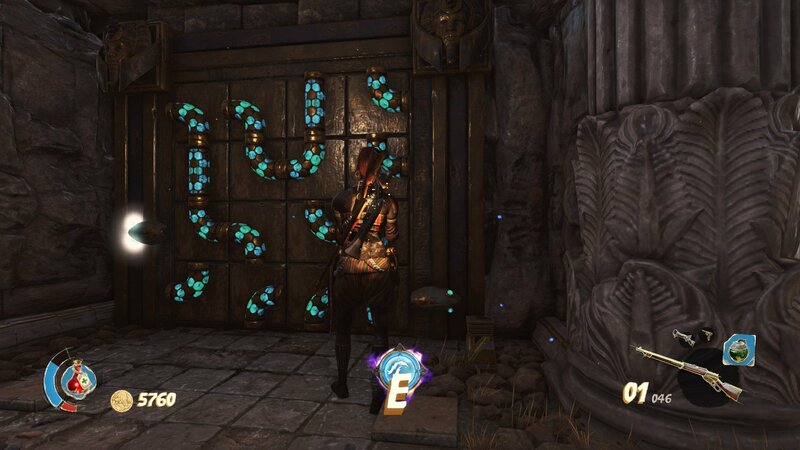 For all the action Strange Brigade packs into each level, it is exceptionally repetitive in its delivery. Each mission consists of fighting through hallways filled with zombies, surviving in a locked room filled with zombies, and then chipping away a health bar of a boss (or inanimate object) one-third at a time until the end cutscene plays. To spice up this droll experience, puzzles and side paths are scattered throughout the levels. Puzzles come in various forms including environmental hazards, pressure plate mazes, memory games, and “guide the liquid through the pipe” that we all remember from BioShock (except there’s no rush with this one). All of these hide the various collectibles that players can find to earn more tokens to unlock more super abilities or doors late in the level revealing piles of gold. These puzzles are enjoyable, but once more, repetitive. Once you’ve seen one, you know how to do the next, and with no threat or time limits, it becomes mundane. Two other modes, horde and time attack, are among Strange Brigade’s saving graces with the latter expanding as players progress through the campaign. 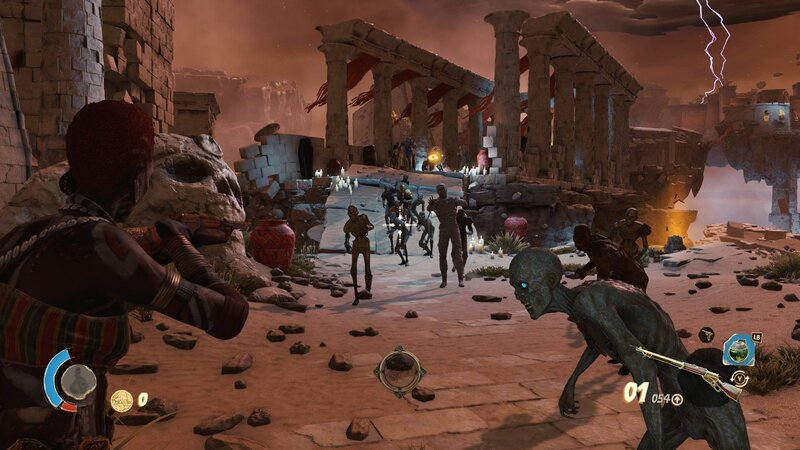 Horde mode is exactly as it sounds, players must survive in a medium-sized arena against an increasingly difficult swarm of enemies. This is a quality experience, but it’s not enough to hold up the entire game. The other mode is a time attack sort of game mode. Players start at a point in a campaign mission, and must then get through a specific section as fast as possible. In this mode, the powerful weapons are offered for free, making the experience far more enticing. Getting hits and kills racks up a combo meter, increasing the value of each enemy slain, and with a clock ticking down, there’s a clear and present sense of urgency. It’s an iconic leaderboard time-chaser that could see dedicated players coming back for more. Is this the end for our heroes? Strange Brigade is an odd bag. It tries to capture a 1930s charm but instead of being charming, it becomes unbearable. It attempts to wrap a story around a horde mode experience but the narrative is unoriginal and the threat of being overrun with enemies is rarely present. Strange Brigade is a disappointing and repetitive experience that offers mildly enjoyable combat but is otherwise entirely forgettable.